The United Nations is one of the most sacrosanct forums for establishing international legal mechanisms. The legitimacy of this conference to enact the prohibition against nuclear weapons was endorsed by the majority of UN member states, and the imperative need for this legal instrument was emphatically emphasized on September 26, 2016 by this same majority of UN member states. The categorical refusal by the US, the UK, France and the ROK to participate in this ongoing United Nations conference is an egregious act of bad faith, a gross violation of Article VI of the NPT, and a violation of the core purpose of the Nuclear Non-Proliferation Treaty itself. In flagrant violation of Article 1 of the Nuclear Non-Proliferation Treaty, the US is, with impunity, transferring its B61-12 nuclear bombs to the territories of five non-nuclear weapon states participating in NATO: Belgium, Germany, Italy, Netherlands and Turkey. NATO itself is thereby in violation of the NPT. The Conference is currently discussing including a prohibition on financing the production of nuclear weapons. At this time, according to the Dutch organization PAX, at least 390 financial institutions are investors in the nuclear weapons industries. Many pension plans, unbeknownst to, and in violation of the wishes of many elderly and retired pension holders, are investors in the production of nuclear weapons, frequently against the interests and will of the holders of these pensions. Investment in nuclear weapons is immensely profitable, and this largely explains why countries, such as the US, the UK and France, whose economic systems are based on profit-maximization, are so fiercely opposed to this Conference and the resultant treaty it will produce, which will codify the illegitimacy and illegality of nuclear weapons, ultimately stigmatizing the nuclear weapons states, and identifying them as violators of the human rights of the citizens of the non-nuclear weapons states. 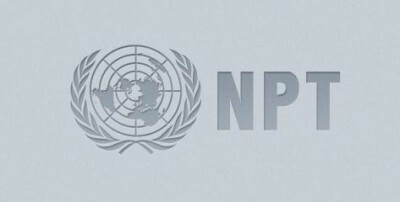 The probability that this conference will result in the creation and enactment of international law prohibiting the possession and production of nuclear weapons, threatens the moral legitimacy of the nuclear weapons states, and may ultimately condemn them as criminals in violation of international law.This explains the ferocity of their opposition to this conference. The enormous hypocrisy of the countries boycotting this conference, while simultaneously condemning North Korea for its efforts to obtain nuclear weapons to defend itself from the danger of annihilation by these same countries boycotting the conference, cannot be ignored. The paranoid demonization of North Korea by those very same countries that categorically oppose any restriction on their own possession and use of nuclear weapon, is a brutal injustice and a falsification of reality. The negotiations on a treaty to prohibit nuclear weapons is the first step toward eliminating this horrific injustice, and freeing the non-nuclear states from the Sword of Damocles imposed upon them by the nine states possessing nuclear weapons, the deadliest of all weapons of mass destruction. The decisive session of this conference will be held from June 15 to June 23. One can only hope that the United States will participate in this conference. The United States was the first country to produce nuclear weapons, and the only country to use them. It will only be when the United States abandons nuclear weapons that the rest of the world can also disarm, and transfer its resources to peaceful purposes. This is imperative, because a nuclear winter, resulting from even a “limited” nuclear war would render this planet uninhabitable. A nuclear war, unlike the use of biological or chemical weapons, outlawed by current treaties, would obliterate all life on earth.